A new winner of the cloud wars is declared nearly every week, as players like Microsoft, Amazon and Google, constantly add features and services in hopes of declaring dominance. Providers continue to invest in various technologies and opportunities to grow their business and corner markets by offering cloud services. The demand for transformation has sparked high interest from businesses looking to update legacy infrastructure, and rather than leveling the playing field, it’s only made competition tighter. Gartner predicts the public cloud space will be worth more than $200 billion in 2019. With businesses looking to invest hundreds of thousands of dollars into these services, nearly every player in the space is looking to up their game to gain an edge. They’re grappling with questions like, “How can we differentiate ourselves?” and “Where can we find our niche?” Every provider is hungry for innovation, which explains the massive strides we’ve seen in the cloud market in the past few years. Although it’s a close race between Amazon, Microsoft and Google today, that wasn’t always the case. Looking back at the cloud landscape, specific industry events and product announcements changed who dominated the space. In 2015, Amazon seemed to lead the way, as AWS owned 30 percent market share in Infrastructure as a Service (IaaS). In 2016, Google rebranded its cloud services as ‘Google Cloud’, strengthening its presence among the competition. In 2018, we continued to see growth from Microsoft — Azure’s revenue increased 76 percent in the the three-month period that ended Oct. 30 — but progress has slowed slightly. 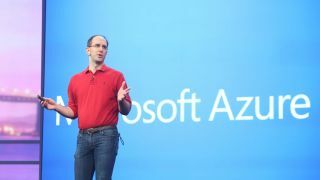 The previous reported growth rate for Azure was 89 percent in the previous quarter. This momentum is largely fueled by the company finding its groove in specific industries and catering its services to attract customers in those sectors. It’s also led by Microsoft CEO Satya Nadella’s focus on reorganizing the company to focus on cloud. In a crowded space with big players, finding a unique strategy can seem impossible — but in 2018, Microsoft found theirs. By targeting their hybrid cloud solutions toward the financial industry, they were able to tip the leader scale in their direction for that sector. 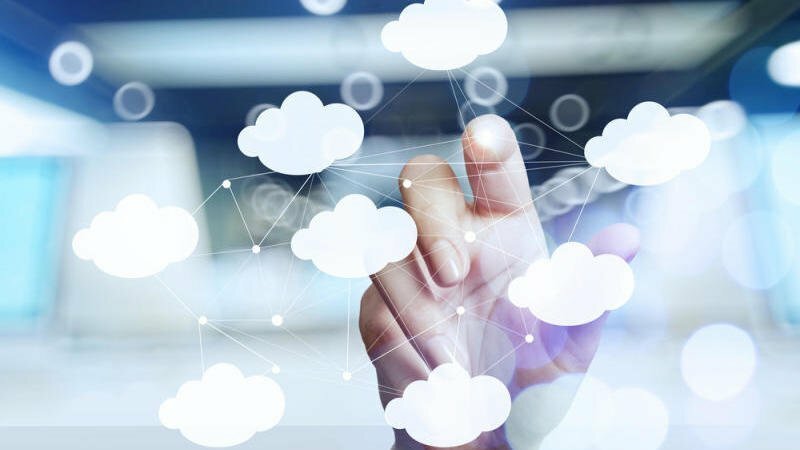 Financial services, specifically the insurance and banking industries, have been slow to embrace digital transformation and subsequently have been somewhat lagging in cloud adoption. These companies handle high volumes of sensitive information and have to adhere to strict regulations, so migrating their entire workloads to the cloud is seen as a huge security risk. However, as other industries undergo digital transformations, customer demands evolve. Banking and insurance companies are realizing they need to embrace change to keep up with their customers’ expectations, which starts with optimizing their legacy infrastructure to eventually move some of their workloads to the cloud. For example, many large health insurance companies have taken a backseat approach to innovation. They operate massive workloads in a mainframe environment and solely rely on legacy technology. This has given room for smaller insurance companies to swoop in with modern solutions, like smart watches that keep track of daily activity, allowing them to offer better benefits to insureds. The tech-averse insurance companies that are constrained by their legacy systems are forced to play catch-up. These financial institutions are attracted to Azure because of its flexibility and easy integration. Its hybrid model allows companies to operate their mainframe software while slowly adopting cloud technology. Banking and insurance companies can undergo their digital transformation at a comfortable pace, giving them the security blanket they want and the modern technology they need. Although Azure may have an edge in the financial sector now, change is inevitable in the cloud wars. We can expect to see other contenders, like Amazon and Google, follow suit and develop more hybrid capabilities in 2019 — potentially sending bankers and insurers running in their direction. 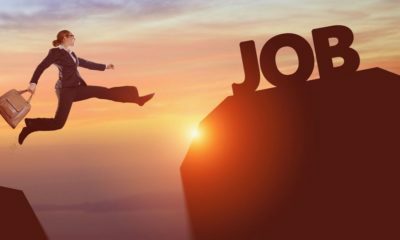 Recent announcements may also stir the leader board: Google announced it’s replacing the head of its cloud division with Thomas Kurian, the former president of Oracle, and AWS plans to remove Oracle databases entirely by the end of the year. AWS will also be introducing AWS Outposts, a fully managed hardware solution that will allow customers to run AWS compute and storage solutions on-prem — a response to similar hybrid plays from Google and Microsoft. With each quarterly result, announcement and product launch, the meter moves and competition heats up. Looking ahead to 2019, it’s hard to predict which provider will take the lead. However, we can assume that more players will follow Microsoft’s strategy to target specific industries, raising the question of which sectors will be cornered next.